This article investigates a vital phenomenon in the Arabic language, that is, idiomatic verb-preposition combination. It aims to explore the syntactic properties of this phenomenon and account for its underlying semantic subtleties. It also aims to establish a parameter for pinpointing the phenomenon, and underscore the key factors that control the syntactic and semantic relationships between the main two constituents of it. 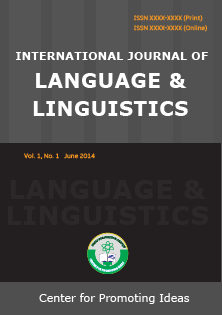 The study is based on an examination of a number of illustrative actual contexts of Arabic usage. It takes into consideration the view of both classical and modern linguists, and utilises realistic examples taken from classical and modern literature: the Qur’an, poetry, novels and press articles. It is hoped that this study may provide some practical insights not only for Arabists and constructivists, but also for pedagogues in the field of teaching Arabic for nonnative speakers and for translators from and/or into Arabic.No claim is made here for comprehensiveness.